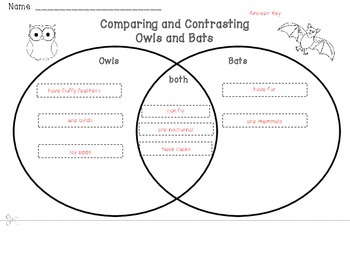 This is a free Venn Diagram to compare and contrast owls and bats. If you like this product, please rate it and leave a comment. If you like the items in my store, please follow me.